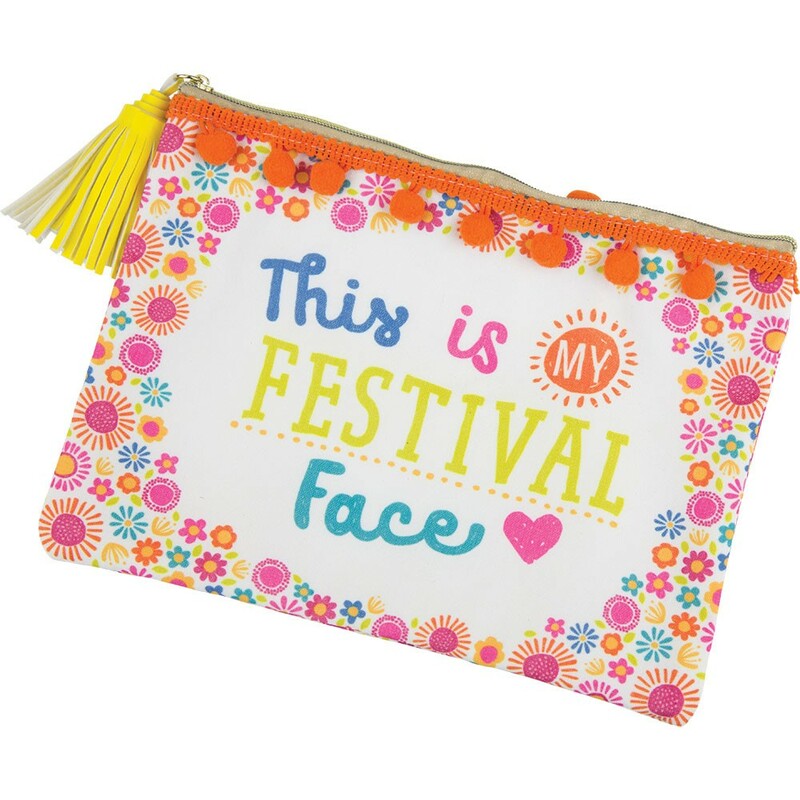 Keep cosmetics and essentials all together in this generous beauty bag with zip closure. 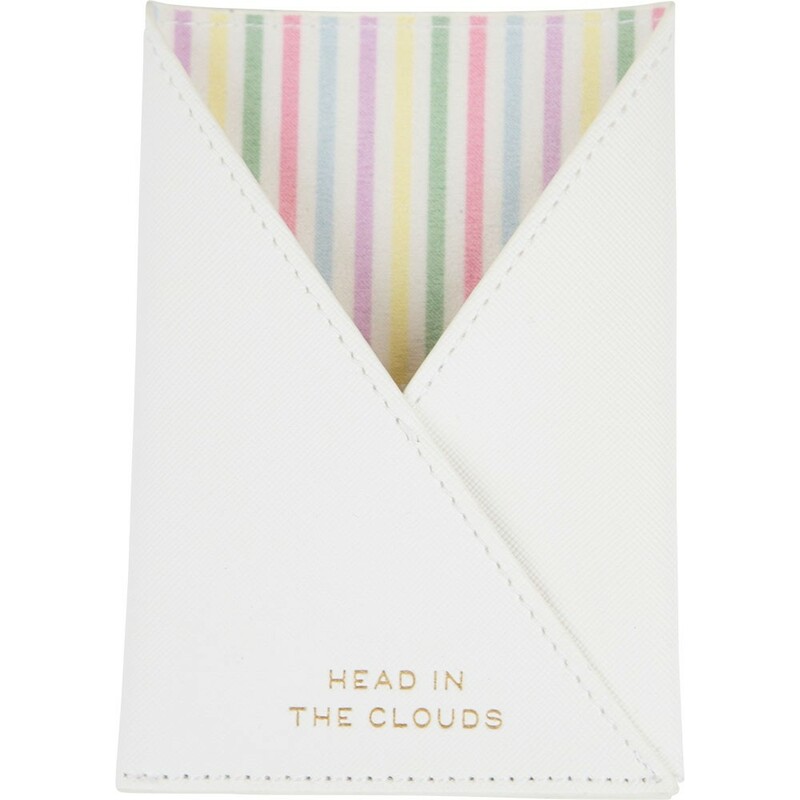 Gorgeous pastel colour on the outside with an embossed phrase or saying and a complementary candy stripe inner lining. 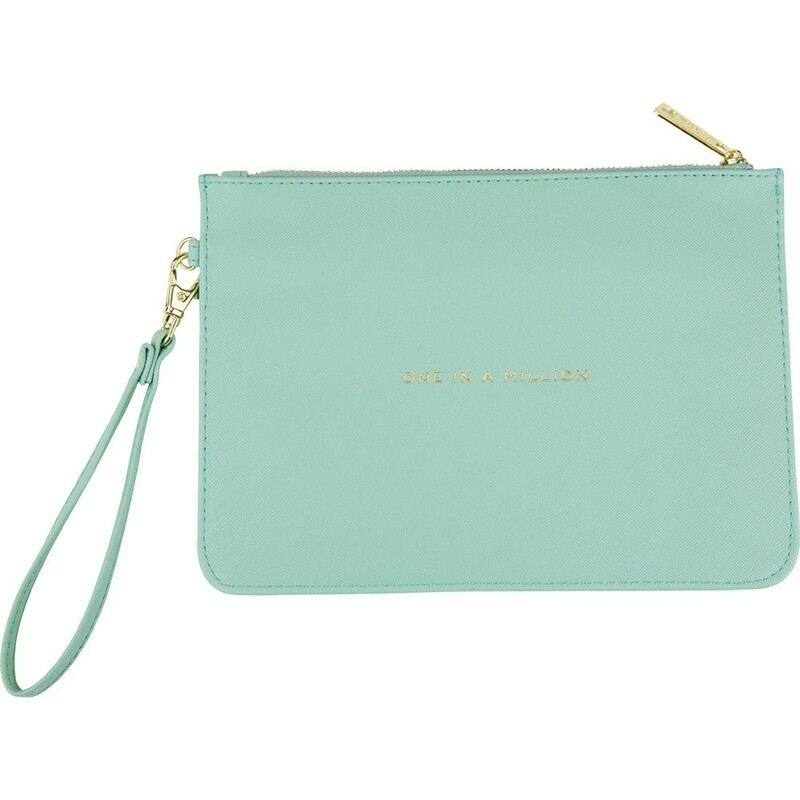 Also features an inner zipped pocket and detachable wrist handle. 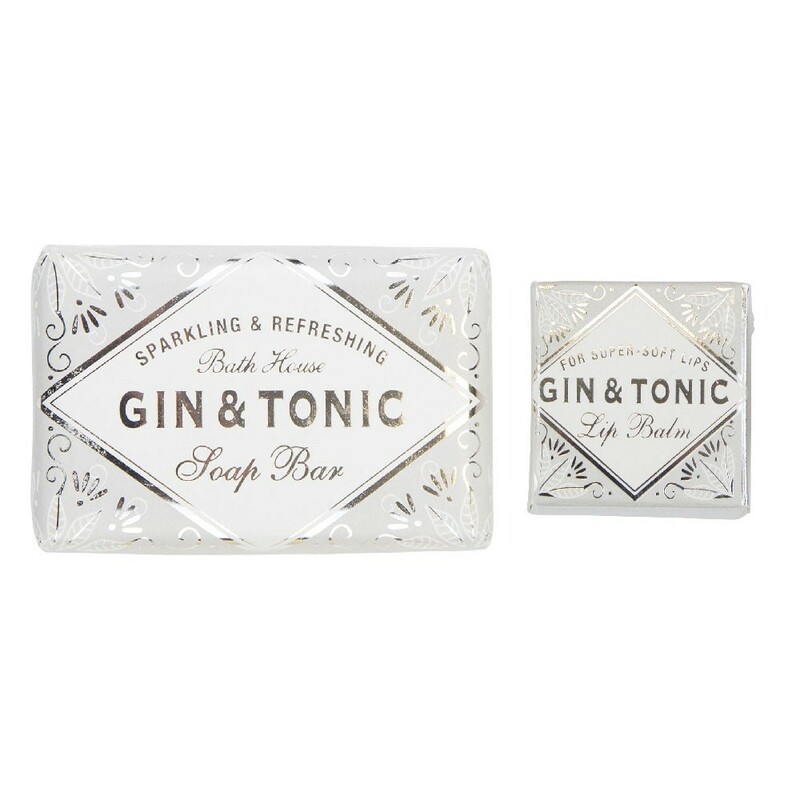 Our Gin & Tonic soap bar is presented in a glamorous metallic silver wrapper, this is for gin lovers who literally want to bathe in the spirit. Made from a blend of sustainable palm oil and glycerine, this luxurious triple-milled vegetable based soap has added lemon oil to leave skin gently cleansed and subtly scented. 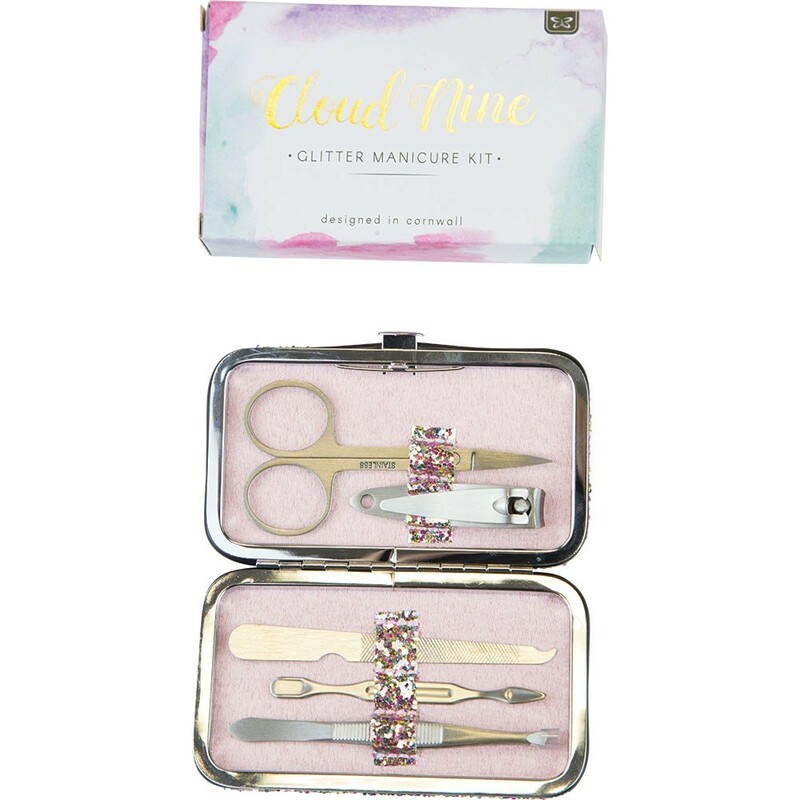 The Gin & Tonic lip balm in a cute silver pot with screw-on lid is presented in a glamorous metallic silver box. Made with Carnauba wax, Shea butter and Beeswax and enriched with vitamin E to protect, nourish and replenish dry lips. 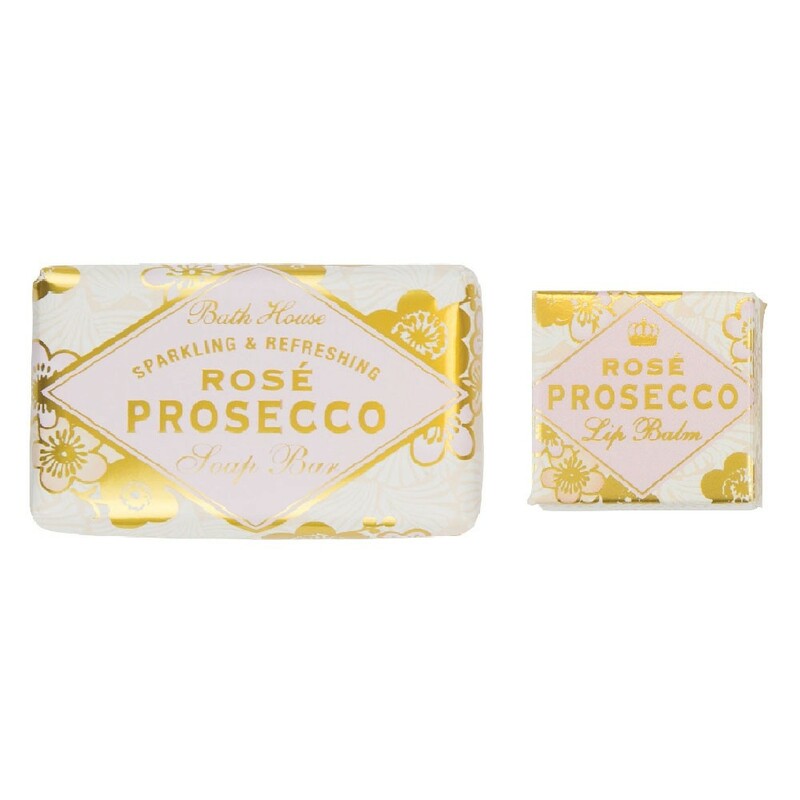 Our Rosé Prosecco Soap Bar is presented in a glamorous metallic gold and pink wrapper, this is a must for prosecco lovers! 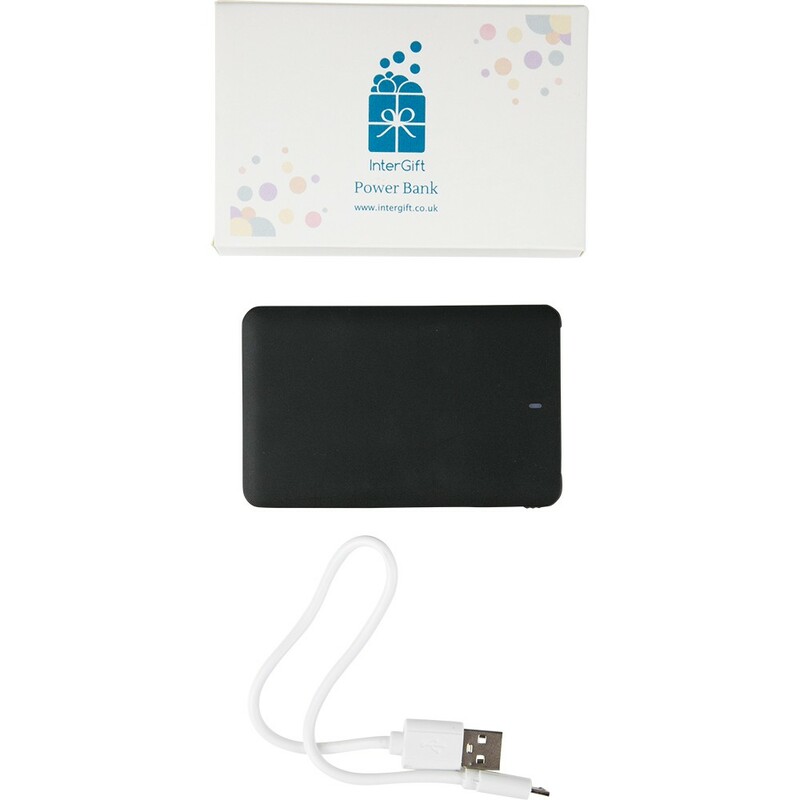 They can create their own sweet smelling bubbles whilst in the shower or bath. Made from a blend of sustainable palm oil and glycerine, this luxurious triple-milled vegetable based soap has added damask rose extracts to leave skin gently cleansed and subtly scented. With our Rosé Prosecco Lip Balm, you can pucker-up with this indulgent rosé prosecco scented lip balm for super-soft lips. This natural hand-poured artisan lip balm in a cute silver pot with screw-on lid is presented in a glamorous metallic silver box. Made with moisture-rich Shea and cocoa butter balm, coconut oil and sweet almond oil and enriched with vitamin E to protect, nourish and replenish dry lips. 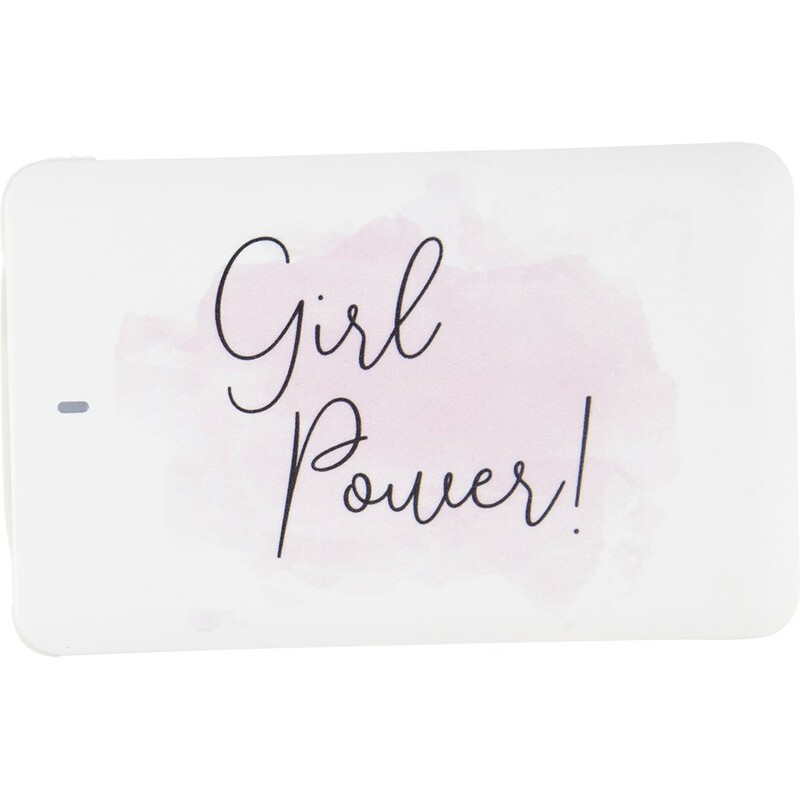 A girl can check she’s photo-ready if she has this stylish compact mirror to hand. Fashionably decorated with gorgeous florals, a fancy gold frame and butterfly. 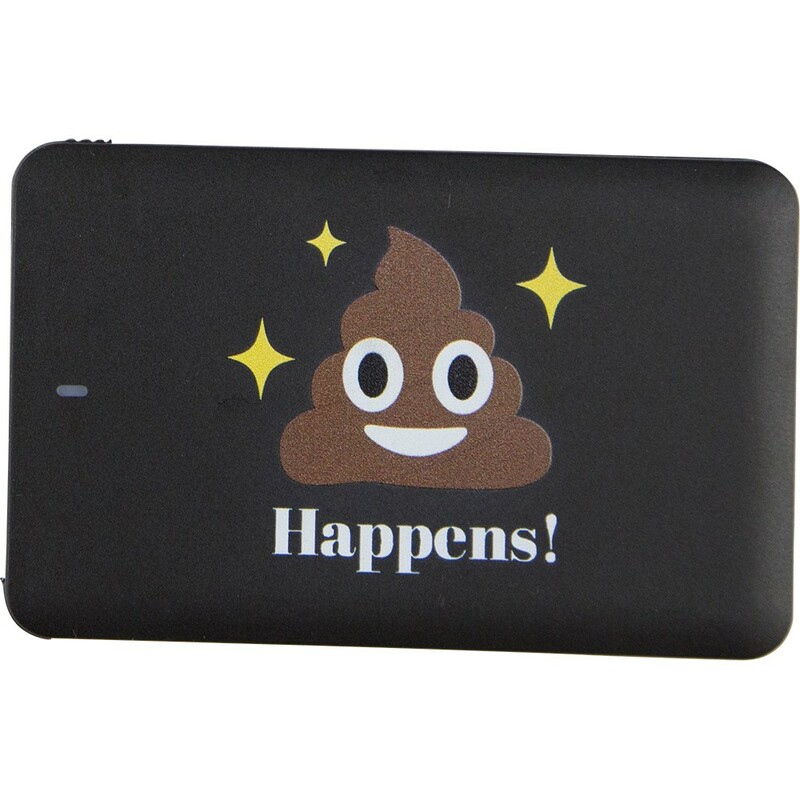 This illustrated compact contains two mirrors and has a snap-shut closure. Four designs available, design will be chosen at random. 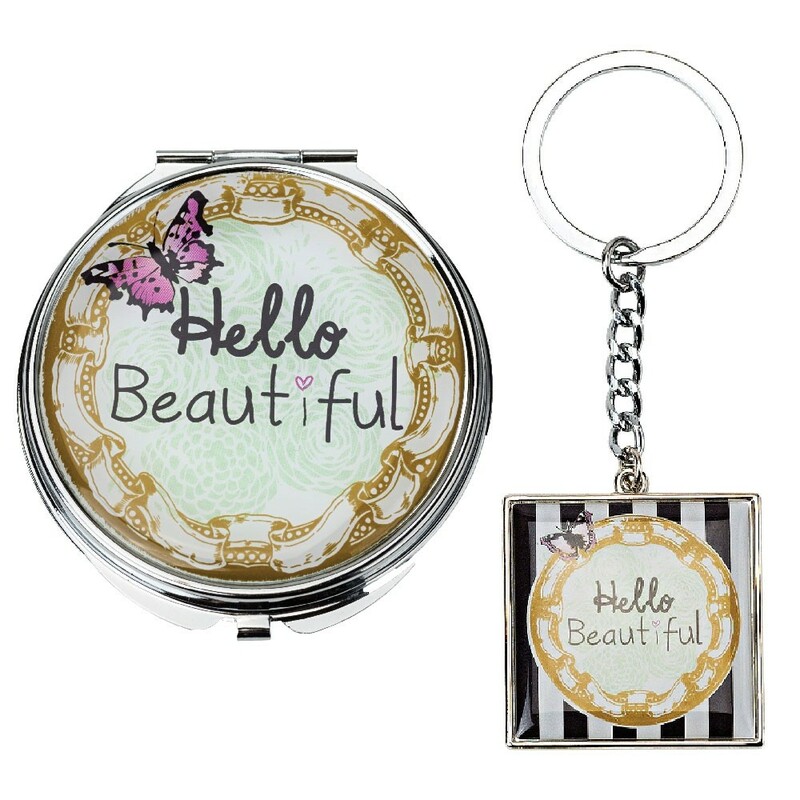 Keys will never go missing when attached to this illustrated metal and resin keyring. Featuring a statement or stylised butterflies in an elaborate gold frame, stencil print flowers and bold black stripes. Six designs available, design will be chosen at random.